Allison Fisher has a simple, straight-forward plan for her future. Just when her plan starts to take shape, a promotion unexpectedly takes her to London with her best friend, Stacy Lewis. Once there, Stacy encourages Allison to break free from her plan and allow business to become pleasure. Allison reluctantly opens up and soon finds herself in love with Charles Mitchell, a handsome British pub owner. A whole new life offers itself to Allison and with it, new-found happiness. That is, until her ex-boyfriend, Mark, decides that London is the perfect place to rekindle the flame he extinguished just before she left. Allison must then choose between what might have been and what was meant to be. 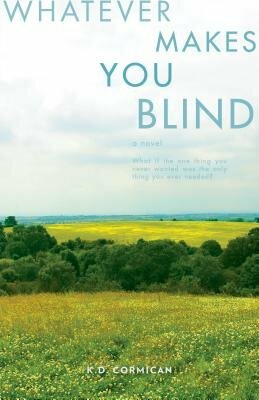 'Whatever Makes You Blind' is a story of love, fate and learning to let go.